When you see someone who had many years of sobriety, you see someone who has made a lot of changes in their life and in their environment. There’s no doubt that once a person enters recovery, it changes their entire life through the help of a well-recognized recovery treatment center. 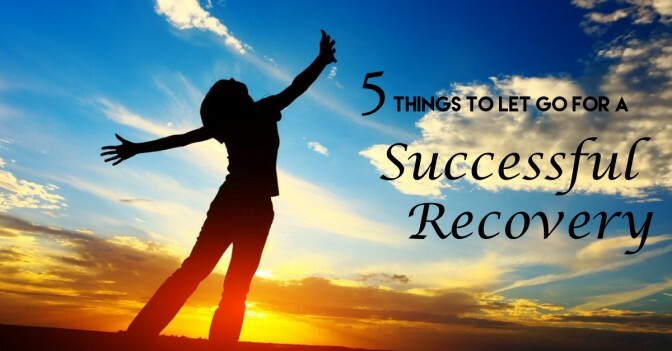 Being successful in recovery is a result of a lot of hard work, and the support of loved ones. However, when you’re just starting your recovery, these changes may seem impossible. Everyone has things that they hold onto, thoughts, behaviors, patterns, and people, because it’s all you have known for a long time. But holding on to these things might mean that you are going to stay stuck in addiction. To have a successful recovery, you must let go of all the unhealthy things that made your addiction thrive. Help Care Addiction Recovery has proven that as soon as you are ready to give up these things, you will find room for growth and healing. Let go of your fears – People who want to recover from their addiction are often scared, and being scared of the unknown is common. But if you can’t overcome your fear during recovery, you can’t move forward. Give up your inability to change – This means that you should be flexible to changes because change will happen in recovery, whether you like it or not. When you accept change, then you allow things to improve. Let go of making an excuse – Making excuses for yourself won’t help. You should accept responsibility for your past behaviors and addiction, which will allow you to grow and also give you insights that will give you an edge over your cravings. In sobriety, you will find yourself making excuses for little things, just as a habit. Now’s the time to break that habit. Let go of putting yourself down – If you keep beating yourself up each time you remember your past mistakes and hurts, you’ll be unable to heal, and it will put you at risk of a relapse. Remember that you’re in a new phase in your life and you are learning to think and act differently, free of alcohol and drugs. Let go of your anger – People may have wronged you in the past. You’re angry about it and that is understandable, but that anger has led you to where you are now. It’s poisonous. Forgiving others frees you from the trap you have made for yourself.